I suppose it is not surprising that a history buff like me who devours books would have developed a little romance with David McCullough. His brilliant, well-researched, and engaging works have taken me deep inside the lives of some of history's most intriguing characters. Last night, I had the opportunity to hear him speak about leadership. He was precise, articulate, and compelling in his assertion that it is critical for all of us, no matter what our area of influence, to have an understanding of our history...of those on whose shoulders we now stand. I scribbled furiously throughout, trying to capture as many treasures as possible. Here are some of the words and ideas that are still ringing in my ears this morning. McCullough and I share the view that history is the most enthralling subject imaginable (so long as it has not been sterilized by dry, lifeless textbooks). It is also essential. He said history is a mirror which helps us understand ourselves; as Americans, and as humans. We live in difficult, uncertain, dangerous times, but NOT the MOST difficult or the MOST dangerous. Read 1776 for a dose of perspective. We need words like those of Winston Churchill who gave an address here in the U.S. in the darkest hours of WWII. "We haven't journeyed this far because we're made of sugar candy." History inspires us to persevere and to hope. When the founding fathers spoke of the pursuit of happiness, they weren't speaking of longer vacations or more stuff. They envisioned a people enriched by the life of the mind; the life of the spirit. Their own studies of classical literature and peoples of the past helped shape their character and their sense of honor. Were they perfect? Of course not. McCullough cautioned against the grave error of making these men demigods without error. But, what they did do was to set an ideal before us. And, he said, it is up to each successive generation to move closer to that ideal. "We think--we speak--with the language we read," said McCullough, "and we are killing the English language." Here, McCullough invited us to imagine John F. Kennedy saying, "Now look. Ask not, like, what, you know, your country can like, uh, do, you know, for, like, you..." Literature, art, music, poetry are all part of understanding what moves a people. "If you leave the culture out of history, you leave out the soul." McCullough issued a challenge for all of us to be involved in the process of bringing a living, breathing interaction with the stories of the past into our families and our spheres of influence. "We have to bring back the dinner table. We have to bring back dinner." He spoke of the incalculable value of sitting with our families and talking about books we loved as a child; about books we are reading now and the ideas contained therein. What is it that we love about them? He implored us to take them to historic places and to share with them what those places mean to us. He had a number of ideas on education. He said that a liberal arts education that does not require history is a cheat. He also argued that teachers should major in a subject, not just in education. He cited Margaret McFarland whose idiom, "More is caught than taught," is familiar to us all. Her enthusiasm for learning rubbed off on one of her students, a fellow by the name of Fred Rogers, who would go on to awaken a love for learning in thousands, if not millions, of little boys and girls (and a few mommies as well). If you LOVE your subject, and you KNOW your subject, you can make that subject come alive for your students. Amen. Why, indeed? Though David McCullough issued a number of challenges last night, more than anything he held out an invitation. It is an invitation to expand our minds and our lives by bringing into them people of another time and another place; to know their stories, their language, their art, their loves, their challenges and triumphs. We will all be richer for it. On a personal note: It is always interesting to see someone you have known only through his writings in person. You feel you know him because he has shared so many ideas with you. Sometimes that personal meeting is disappointing, but not last night. I found David McCullough to be witty and charming. He shared with us a favorite question he had been asked by a college student, "Other than John Adams and Harry Truman, how many other presidents have you interviewed?" And, he ended the evening, at the request of the moderator, with a verse and a chorus of Hank Williams' "Hey, Good Lookin'" He has a pretty good voice. Thank you, Mr. McCullough, for your words, your ideas, and your generosity of spirit. God grant you many years. a time for war and a time for peace. satisfaction in all his toil—this is the gift of God. Inside all of us....is a Wild Thing. Maurice Sendak's Where the Wild Things Are. We had an arrangement. fluttering in my stomach I had known as a child. I have never gotten over it. kindness blow the rest away. "The creation continues incessantly through the media of man." structural planes seem more energetic." O Precious Cross, Thou Art Our Succor! It has mysteriously been quenched by the wood of the Cross! On this day Orthodoxy celebrates the veneration of the Life giving Cross. At the midpoint of Great Lent, we are reminded of our destination AND strengthened for the journey through commemoration of Christ's sacrifice. The fruit Adam consumed tasted sweet, but led to death. The fruit of the cross is bitter, but leads to life. "Come, Adam and Eve, our first father and mother, who fell from the choir on high...when of old with bitter pleasure ye tasted from the tree in Paradise. See, the Tree of the Cross, revered by all, draws near! Run with haste and embrace it joyfully, and cry to it with faith: O precious Cross, thou art our succor, partaking of thy fruit, we have gained incorruption; we are restored once more to Eden, and we have received great mercy." Such glorious grace! Such infinite mercy! A gift I need not earn has been conveyed to me. A gift of Life. "Therefore, since we have a great high priest who has gone through the heavens, Jesus the Son of God, let us hold firmly to the faith we profess. For we do not have a high priest who is unable to sympathize with our weaknesses, but we have one who has been tempted in every way, just as we are—yet was without sin. Let us then approach the throne of grace with confidence, so that we may receive mercy and find grace to help us in our time of need." lean, austere limbs, why are these my favorite images of spring? with life; red and green glossy leaves cloak barren gray limbs. And life begins anew. Miraculous! Is it because I was a spring baby that I feel it so accutely? possible to begin again...that a clean start is available to me. spontaneous reaction to the glorious warmth that is blessing us. suddenly burst forth in beauty? I wonder. become more than they are. The rain is over and gone. Is heard in our land. Beloved Spring, Thou Art Most Welcome! Which in full choir hails thy approach, O Spring! And let thy holy feet visit our clime! Upon our lovesick land that mourns for thee. Whose modest tresses are bound up for thee. One of the most beautiful and surprising teachings I encountered in Alexander Schmemann's book, Great Lent, has to do with fasting. A Lenten fast of some sort or other is a part of the tradition of many faiths, particularly those of a liturgical nature. In Orthodoxy, it is a prescribed fast. I found Father Schmemann's thoughts on the fast to be so wonderfully refreshing and encouraging, I wanted you to have the opportunity to encounter them as well. To begin with, he speaks about the fact that the very first sin involved food. More significantly, it involved Adam's desire to be self-sufficient, his need to provide for himself. Many of us think of food as life. We must have food to live. But, food is not life. God is life. "In Him was Life and the Life was the Light of man." "In itself food has no life and cannot give life. Only God has Life and is Life. In food itself God--and not calories--was the source of life." Food is not the only thing we mistakenly trust to give us life or to meet our needs. We may trust in our spouses, our jobs, our experience or knowledge, in science or our government. But, whatever we put our trust in will own us. "World, food, became his gods, the sources and principles of his life. He became their slave." And this is where Lent comes in. We fast from that which we think gives us life, and we learn that it no longer owns us. We are liberated. We are made free. 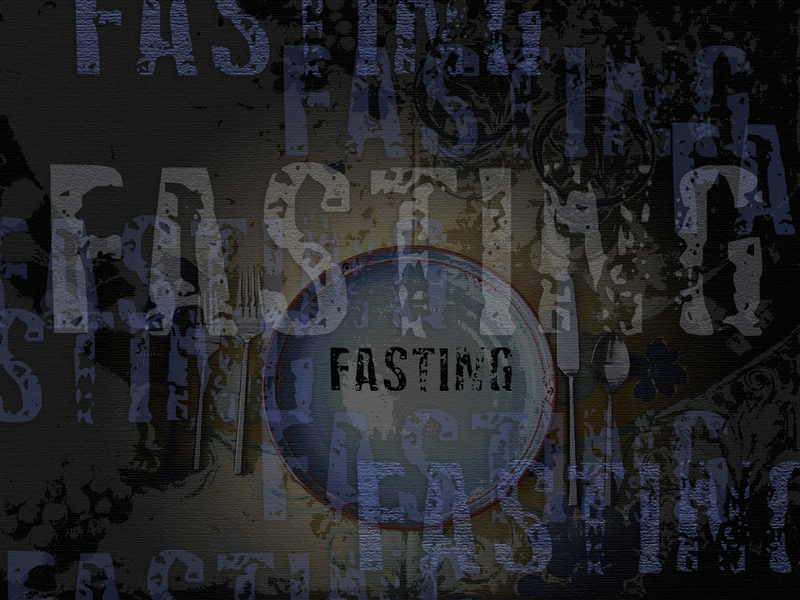 "What then is fasting for us Christians? It is our entrance and participation in Christ Himself by which He liberates us from the total dependence on food, matter and the world." "Ultimately, to fast means only one thing: to be hungry--to go to the limit of that physical condition that relies entirely on food and, being hungry, to discover that this dependency is not the truest thing about man, that hunger itself is first of all a spiritual state and that it is in its last reality a hunger for God." So if you are participating in a Lenten fast, and if all you can think of are rules and privations and drudgery, I invite you to reconsider. Won't you accept the invitation...the invitation to freedom? alone and in a crowd. is vibey and fun with glorious old books on the shelves and exposed brick walls. blog to read the story of her inspiration for this lovely piece. spent a long time with this one. SO lovely! and the delicious nuances of the dark ground underneath. Twenty-two years ago today, Chad was a 13 year old growing up in Cincinnati. His great loves were baseball and music. He probably rarely thought about being married. Jen was a 9 year old who had just left Mississippi for Tennessee. She had already become a lover of books. Because she was a girl, she probably had thought about being married someday. But it would still be several years before she met the man of her dreams. Twenty-two years ago today, Mike and Shelia walked down the aisle of a little country church in East Tennessee just as the sun was setting. There were candles and friends. They promised to love and to cherish...in good times and in bad times--and there have been plenty of both--"til death do us part". Six years ago today, Chad and Jen stood in the lovely Scarrit Bennet chapel in Nashville just as the sun was setting. There were candles and friends. They promised to love and to cherish, in plenty and in want--this year the plenty included a precious little boy named Elijah--"so long as they both should live". Tonight, Chad and Jen and Mike and Shelia ate a wonderful dinner and laughed and talked and remembered and celebrated. Congratulations, dear friends! God grant you many years. Today is one of my favorite days of the year in my American History class. Today I unfolded to my students the delightful history and evolution of Jazz. Jazz was the first distinctively American music form, and a basic familiarity is an essential part of understanding the American story. We began with the basic ingredients of the "gumbo" that is jazz; an apt characterization given that New Orleans was the nursery for the emerging art form. Spirituals and their secular cousin, the blues, gave jazz it's improvisational nature and it's fire. We had talked about spirituals in our discussion of the civil war. But, I let them hear blues in several varied incarnations. We listened to Muddy Waters, Keb Mo, Eric Clapton and John Mayer. I articulated a twelve bar blues on the board and we followed the form through each of the listening selections. I saw the musicians in the class furiously copying the chord progression. It was fun for me to think of them going home and giving it a try tonight. Then we talked about the syncopation delivered by ragtime. Usually I play a couple of Scott Joplin tunes on the piano for them, but this year a piano was not available to me. So this year, I let Joplin play it himself. Quite a feat for a dead guy, huh? Turns out the piano rolls created by Scott Joplin have since been recorded and are available on iTunes. Once our gumbo was simmering nicely, we took a look at some of the various forms jazz has taken over the years, as well as a few iconic figures...alas only a sampling is possible given time constraints. We began in New Orleans where Louis Armstrong introduced us to the unique configurations and atmosphere of Dixieland. The students always love hearing Armstrong's very colorful story. And, it's impossible to see and hear him perform and not love him. Of course, as soon as they hear his voice they recognize him and begin clammoring for a bit of What a Wonderful World. I willingly oblige. Duke Ellington was our eloquent and elegant guide through the world of swing. We talked about how he painted with sound--giving his tunes names like Black and Tan or Mood Indigo, how he played his orchestra like an instrument--writing tunes with his players in mind, and how he solved the problem of discriminatory housing by travelling in a personalized railroad car. We talked about the creative synergy of the Harlem Renaissance where he lived and worked with poets like Langston Hughes and painters like Aaron Douglas. We listened to his signature tune, Take the A Train, and imagined him using it to open a show at the Cotton Club. Click a few links and play. I hope you enjoy it as much as we did. A number of years ago I read a book called The Trapp Family Singers. It is Maria von Trapp's tale of the family we all came to know through The Sound of Music. One of my favorite parts of the book was her account of the season of Lent and the celebration of Easter as observed by her Catholic household. As a lifetime Protestant, I found it completely unfamiliar, but very appealing. To hunger and long for Christ's triumph over death....to celebrate extravagantly the glorious resurrection...to feel it in one's bones...that, I wanted. But I knew not how to attain it. In the intervening years I have made a nominal observance of Lent; choosing something to "give up". But, this year; this year is different. This year Lent has a fullness I have never known. I would be amiss if I did not tell you that a great part of what makes this year different is that I am living this season with a family of faith that is showing me the way. For that, I am more grateful than I can say. I also think that in more ways than I probably understand, God has been preparing me to be in this place at this time...to encounter the story with a completeness as yet unseen. I have had another guide in this journey, and I herein wish to commend him to you. Alexander Schmemann's book, Great Lent: Journey to Pascha, has been for me an invitation; an invitation to mourn, to yearn, to ponder and seek, to forgive, to learn, to be healed and restored, and somewhere, in the not too distant future, to dance. It is at once a book of great simplicity and great complexity. I will continue to revisit it throughout this season, and you will see more from the book here. I share with you just a few words to cheer and sustain you on your own Lenten journey. "Lent is the liberation of our enslavement to sin, from the prison of 'this world'." "I stand before God, before the glory and beauty of His Kingdom. I realize that I belong to it, that I have no other home, no other joy, no other goal; I also realize that only God can help in that affliction, that only He can 'attend to my soul'. Repentance is, above everything else, a desperate call for that divine help." "...the shock of man who, seeing in himself the 'image of ineffable glory', realizes that he has defiled, betrayed, and rejected it in his life; repentance as regret coming from the ultimate depth of man's conciousness; as the desire to return; as surrender to God's love and mercy." "Where shall I begin to weep over the cursed deeds of my life? What foundation shall I lay, Christ, for this lamentation? I have darkened the beauty of my soul; I have torn my first vestment woven for me by the Creator and I am naked..."
"One 'saint'...will do more for changing the world than a thousand printed programs. The saint is the only true revolutionary in the world." "...ultimately men are converted to God not because someone was able to give brilliant explanations, but because they saw in him that light, joy, depth, seriousness, and love which alone reveal the presence and the power of God in the world." Although "The Notebook" is one of my very favorite movies ever, and I found "A Walk to Remember" beautifully redemptive, I had never read a book by Nicholas Sparks. Until now. I noticed Three Weeks With My Brother at the library earlier this week as I was gathering reading material for a couple of days of rest and refreshment. It has been on my list of candidates for some time, so I grabbed it and took it with me when I left home yesterday morning. I finished it a few minutes ago. In the book, Nicholas and his brother Micah masterfully integrate the remarkable story of their family with the account of a three week around the world adventure taken by the two. The trip takes them to legendary architectural sites and sacred monuments in places as far flung as Peru, Easter Island, Cambodia, India, Ethiopia, and Norway. But the story of their family; that is the real adventure. They tell of their rather unconventional upbringing, acknowledging challenges while embracing the beautiful moments. They tell about the sweet closeness of the siblings, the wild antics of the brothers, and the three maxims their mother recycled for every circumstance: It's your life. What you want and what you get are usually two very different things. Life is not fair. Theirs is a tale interwoven with much pain. By their middle 30's, they had lost mother, father, and sister. They alone remained of their original family unit. We read about the agony Nicholas and Cat experienced in trying to reach their son Ryan and to find help for him. We hear about the elation of finally seeing his first book published. We see all three siblings wrestle with faith in their own way. And we witness husbands and wives, brothers and sisters loving and clinging to one another through the most trying of circumstances. It was a little embarassing crying right in the middle of Panera. But, I found the book to be engaging, exciting, and inspiring. I commend it to your attention. about what it all means. Check it out...if you dare. Did You Know? from Maurilio Amorim on Vimeo. O Land Alive With Miracles! Lift your blue trees into the early sun! Is there an hour in you that does not rouse our mind with songs? Disclosing us the birds your genius. That Christ and angels walk among us, everywhere. --By those bright passengers our groves are all inspired. Trample the white, appalling stratosphere. One hundred five years ago today, Theodor Geisel was born. He would grow up to write some of the world's best-loved children's stories. My children and I have had our own love affair with Dr. Seuss. Green Eggs and Ham was one of those stories I read until I could have recited it front to back without the book. And yet, every time I read it, I would watch my children's eyes grow wide with anticipation as we came to the point in the story where our protagonist makes the startling discovery that he does, in fact, like green eggs and ham. The Foot Book and Ten Apples Up On Top were among the very first books my little ones read by themselves. And, I have never been able to read How the Grinch Stole Christmas without tearing up at the end...not once. Back when I taught elementary school music, I read Seuss' Oh! The Places You'll Go! to my sixth graders at the end of the year as a parting word. I have also given the book several times as a graduation gift. Today, I offer you two gifts on the birthday of Dr. Seuss. At the top of the post is an animation of our beloved Green Eggs and Ham. And below are excerpts from Oh The Places You'll Go. You're off to Great Places! You have brains in your head. You're on your own. And you know what you know. And YOU are the guy who'll decide where to go. You'll look up and down streets. Look 'em over with care. About some you will say, "I don't choose to go there." you're too smart to go down any not-so-good street. you'll want to go down. you'll head straight out of town. in the wide open air. You will come to a place where the streets are not marked. Some windows are lighted. But mostly they're darked. A place you could sprain both your elbow and chin! Do you dare to stay out? Do you dare to go in? How much can you lose? How much can you win? or right-and-three-quarters? Or, maybe, not quite? Or go around back and sneak in from behind? for a mind-maker-upper to make up his mind. you'll play lonely games too. 'cause you'll play against you. you'll be quite a lot. you'll meet things that scare you right out of your pants. that can scare you so much you won't want to go on. and your sneakers may leak. with many strange birds as you go. So be sure when you step. Just never forget to be dexterous and deft. And never mix up your right foot with your left. The Lenten Spring Has Come! Let us begin the time of fasting in light! Preparing ourselves for the spiritual efforts. Let us purify our soul; let us purify our body. And What Should I Do in Illyria?